The operation went off without a hitch. Another successful nose job — or so Dr. Ira Papel thought. Until the patient came back to his clinic threatening to shoot himself and others. The police eventually defused the situation (and the troubled patient wasn’t armed). But the episode continues to weigh heavily on Papel. In hindsight, Papel suspects his former patient suffered from body dysmorphic disorder (BDD), a psychiatric condition defined by an obsession with imagined or slight defects in appearance. 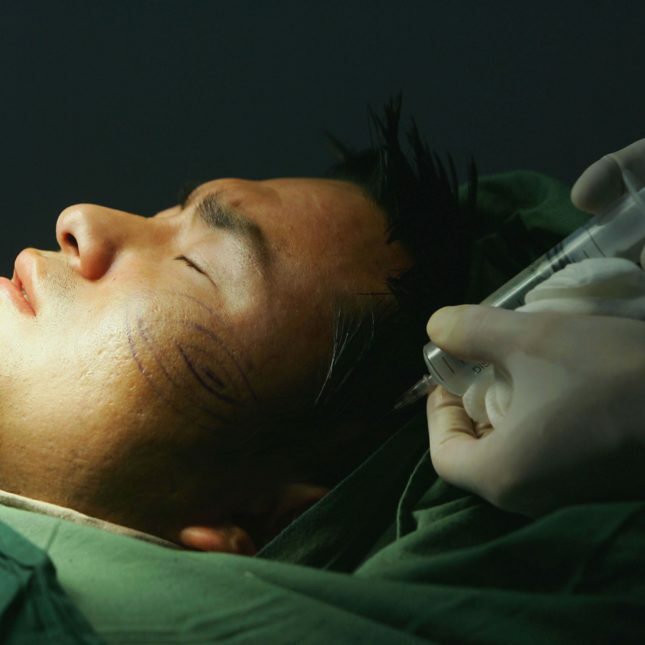 In that light, the man’s distress probably had more to do with his mental state than with Papel’s surgical skills, and the patient should never have had rhinoplasty to begin with. BDD made headlines last month when Reid Ewing, a young actor on ABC’s “Modern Family,” wrote about his repeated plastic surgeries and body dysmorphia for the Huffington Post. Not one of the four doctors who operated on him did any mental health screening, Ewing wrote. Papel believes that should never be the case. He’s one of a small but growing number of surgeons who are pushing to introduce formal screening tools in cosmetic surgery clinics nationwide. These doctors argue that psychiatric questionnaires offer a way both to protect patients from unwarranted medical treatment and to preemptively defend plastic surgeons from legal and physical attacks. “We are not psychiatrists, we are surgeons,” said Dr. Lisa Ishii, a facial plastic surgeon at the Johns Hopkins School of Medicine. “So it’s unreasonable for us to guess whether someone has a mental illness” that would make that person unfit for treatment. This idea is facing pushback, though, by many cosmetic surgeons who maintain that a doctor’s intuition while talking with prospective patients is good enough to pick up on any psychological problems. BDD affects an estimated 2 percent of the general population, and up to 15 percent of patients in cosmetic surgery clinics. The condition is best managed with antidepressants and psychotherapy, yet around half of all people with BDD seek appearance-enhancing treatments instead. Few are happy with the outcomes. Symptoms typically get worse after surgery, as patients continue to dwell on operated body parts or shift their focus to other perceived flaws. Feeling just as bad — if not worse — after aesthetic treatment, some patients lash out against their doctors. In surveys, 40 percent of cosmetic surgeons and 12 percent of dermatological surgeons say that they have been intimidated or harassed by patients with symptoms consistent with BDD. Most were threatened legally, some physically. At least five American plastic surgeons have been killed over the past 20 years — and for several of these murders, “there was evidence to suggest that patients were struggling with significant mental health issues,” said clinical psychologist David Sarwer of Temple University in Philadelphia, who ran the surveys. In September, a Russian patient, upset over the results of several operations on his nose and ears, reportedly shot a plastic surgeon in revenge before turning the gun on himself. That’s the most extreme consequence. But even lesser harassment can seriously disrupt a physician’s personal life and medical practice. For Dr. Angelica Kavouni, a labiaplasty specialist in London, mistakenly operating on someone with BDD meant a barrage of phones calls, emails, and requests for follow-up appointments. Plastic surgeons in the United States and elsewhere are not required by law to conduct psychological evaluations, though most commonly ask potential patients about their states of mind. Ishii, for example, inquires about expectations and motivations for surgery. And she will turn away individuals who come in with overt red flags, such as having had multiple prior surgeries or an overblown fixation on a body part. And yet, patients with BDD continue to slip past these safeguards. So, Ishii — herself a victim of vitriolic online comments from disaffected BDD patients — has turned to a questionnaire commonly used in mental health evaluations. Developed by Dr. Katharine Phillips, a psychiatrist and leading BDD researcher at Brown University’s Warren Alpert Medical School, the screening tool asks individuals how much time they spend worried about body their image and the degree of emotional pain that causes. While the test sometimes yields false positives, Phillips has shown that it almost never lets a patient with BDD pass by undiagnosed. It takes less than two minutes and can be completed on a computer tablet in the doctor’s waiting room. Over four months last year, every adult patient who walked through Ishii’s clinic door filled out the questionnaire. Of the 122 who sought appearance-enhancing procedures (as opposed to reconstructive surgery), around 20 percent tested positive for BDD. Ishii conducted follow-up interviews and referred most of those individuals to a psychiatrist for further evaluation. No patient who scored negative for BDD and underwent cosmetic surgery later demonstrated the kinds of problems indicative of a mental illness. Ishii published her experiences with the BDD questionnaire earlier this year in the journal JAMA Facial Plastic Surgery. Together with Papel and others, she is now working on a follow-up study comparing the screening tool against the informal assessments many cosmetic surgeons do with new patients. My ps is trying to say that I have BDD after he botched my face. How do I have a BDD if he did surgeries to my face without my consent? Those have been conformed by other surgeons. I did not mind about the bad scars he left behind my ears, because I knew that could happen. But when he shaved of my nose hump and part of my jaw angle during soft tissue operation, that is why I got extremely pissed of. No surgery without consent is legal. And to get pissed off for that is not because of BDD, but because of the ps did a crime. TM did this against me in San Francisco. Timothy J Marten of marten clinic of plastic surgery in San Francisco. OMG…are u natalie.d cuz I read about this online? on ROR? srsly sk33ry. He has several victims. Don’t know the names. Some are dead some are alive. Some stories are still online but unfortunately they’ve been able to hide many.